University College’s Schools Liaison Office provides a wide range of information, events and resources to help inspire the next generation of Univ students. From our twice-yearly teachers’ newsletter to taster and study days and our successful and popular Ambassador Scheme – we help provide the decision making tools needed by both students and teachers alike. Further resources are our Staircase12 pages, University College’s online information hub for students aiming high at school and thinking about applying to top universities. Here you’ll find plenty of material to help you develop your interests, along with book reviews from current undergrads to help you “read around” your subject, and ideas for stretching yourself beyond the school syllabus. Take a look at the Staircase12 pages or follow on Twitter for all the latest information. Each year University College hosts a one day teachers’ conference. In 2019 this will take place on Friday 1 February. We welcome teachers from all types of role to our teachers’ conferences. 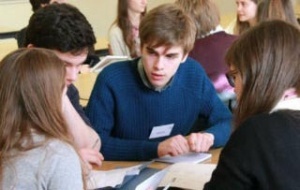 This event isn’t just for heads of sixth form, or those in charge of university applications. If you are passionate about able students being able to reach top universities regardless of background, or have some role in supporting students to make decisions about their futures, even in school without a sixth form, we really hope you will attend. The programme features talks on teaching and research by tutors from a range of disciplines together with sessions on identifying and supporting competitive applicants by Univ’s Senior Tutor and Schools Liaison and Access Officer. A full, provisional timetable is available here. We are already very oversubscribed for this event. If you want to register your interest please fill in this form. It is unlikely at this stage that all teachers who register will be able to attend, but this will allow us to keep those interested on a waiting list and contact you about other events you may be interested in. If, nearer the time you are unable to attend, but would like to send a different teacher in your place, this is likely to be possible. Just let Nelli know (contact details below). Please note: In the unlikely case of oversubscription, we may need to reduce numbers. Places may be limited to one representative per school, in which case places will go to the most senior staff member. Places may also be prioritised for schools with which the University has had less frequent contact or schools in Univ’s “link region”. 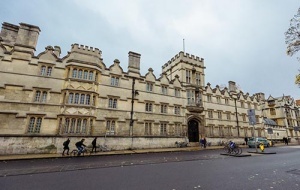 The University of Oxford has developed a programme to simplify communication between the University and all schools in the United Kingdom. The scheme will not have any bearing on the Oxford admissions process and will not influence whether a college offers a candidate a place. It is not intended to replace any existing contact a school may have with a particular college or department. Each Oxford college is linked to a Local Authority area to ensure that schools have a first point of contact within the University. 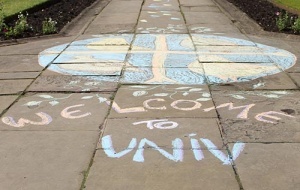 University College has been allocated the regions of Reading, West Berkshire, Wokingham, Shropshire, Telford and the Wrekin, Staffordshire and Stoke on Trent. The Access and Schools Officer will be pleased to arrange sessions with any schools or colleges in these regions, as well others from across the UK. Univ runs a highly successful volunteering programme for our current students in which they assist with our schools liaison and access work. Our ambassador team is made up of over 60 students from many different backgrounds and subject areas. The Univ ambassadors work with young people to encourage, motivate and inspire them to continue and complete their studies successfully. 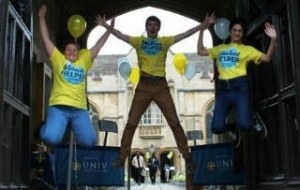 They assist in providing students with advice, information and guidance on progression to higher education and applying to the University of Oxford. The ambassadors act as tour guides on Open Days, visits from schools and other events and help to run a wide variety of events and schemes such as school visits, e-mentoring, summer schools, taster days for primary school, secondary school and college students. For events across the University, check out the outreach events calendar on the University of Oxford website. The Schools Liaison Strategy forms part of the College’s wider aims for its undergraduate admissions – please view or download the Schools Liaison Strategy PDF. Each term Univ offers set days on which schools can book to bring small groups of students to. 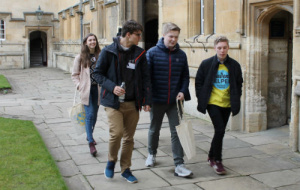 These aim to challenge myths surrounding the University of Oxford and its admissions process, provide students with insight into studying at university, and allow them to meet and ask questions of current undergraduates. Please see our Standard Programme PDF for Year 10 and 11 visits. For each day we expect one, two or three schools to attend with groups of up to 10-15 students each. Due to demand it is likely that priority will go to state-funded schools in University College’s “link regions”. More information about the regional link scheme is available here. Our Year 10-11 taster days have been very popular, and are fully booked up for the 2018-19 academic year. Please contact the Schools Liaison and Access Officer to express an interest in future days. Teachers who would like to express an interest in future visit dates, should contact the Schools Liaison and Access Officer (T: 01865 286565 E: access@univ.ox.ac.uk) to express an interest. Univ is delighted to host a programme of subject study days for Year 12s each year in the spring and summer terms. These are an excellent way to gain an insight into potential degree subjects. These will also give high-achieving students a taste of the university experience and ideas for how they can develop their academic interests and skills beyond the classroom. They will be run by Univ’s subject tutors and post-graduate students, consist of classes and lectures, and include a tour of the college and lunch with current undergraduate students. The application processes for these study days run separately for each subject based study day. See below details of applying for individual Study Days. Applications will generally open at least two months before the study day. There will be a short online application form to complete, including approval and details of academic achievement from a supporting teacher. There is no requirement to submit a personal statement. We aim to choose students who have potential to make a competitive application to Oxford and who will most benefit from the workshops. 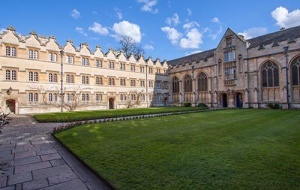 The College will consider information such as GCSE results and predicted grades, and may consider educational and socio-economic background, using similar categories to the contextual data which is used in the Oxford admissions process. In case of over-subscription the College may also have to limit the number of attendees per school, and prioritise spaces for schools in our link regions (ox.ac.uk/linkcolls). In the case of students who apply for more than one of our subject study days, depending on popularity we may only be able to offer students a place on one subject study day each. You can contact Nelli by email (access@univ.ox.ac.uk) or phone (01865 286565). Considering Social Sciences at University? Or can’t make up your mind between Politics, History or Law? 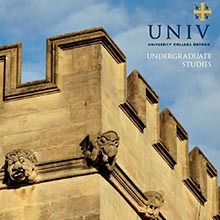 University College, Oxford is offering a study day for 60 Year 12 students. The day will include lectures and workshops in Politics, History and Law from Univ’s tutors and graduate students. The day will be a valuable opportunity to help you choose a subject for university, as well as engage with subjects you are interested beyond your school curriculum. 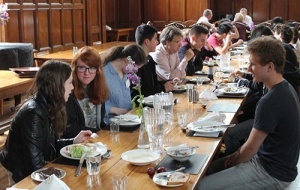 Alongside this, you’ll get the opportunity for an insight into life at University College through College tours with undergraduates and lunch in our dining hall. Please see the provisional programme. To apply you will need to fill in this online application form. The deadline is Friday 10 May 2019. One section of the form entails submitting a name and email address of a teacher who will support your application for this day. Please check your teacher is happy to do this before submitting their details. Any questions please email the Schools Liaison and Access Officer, Nelli on access@univ.ox.ac.uk or phone 01865 286565. Are you considering studying English or History at University? University College, Oxford is offering a subject study day for 60 Year 12 students from UK schools to explore their subject interests. There will be lectures from the College’s English and History academics followed by an in-depth discussion session in either English or History. The day will be a valuable opportunity to help you decide on a degree subject, as well as explore these subjects beyond your school curriculum. Alongside this, you’ll get the opportunity for an insight into life at University College through tours with undergraduates and lunch in our dining hall. Please see the provisional programme.